Users with 64 bit version of Operating system has been eagerly waiting for Adobe Flash Player 64 bit release. Well, wait is over as Adobe Flash Player 11 beta is available for download for 32 bit and 64 bit operating system users. Though Adobe Flash Player 11 is still in beta, one can expect to have 64 bit version support as and when stable version is released. This is good news for users with 64 bit operating system on their computer and wanting Flash support. 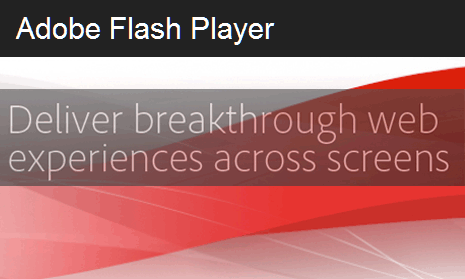 Adobe Flash Player 11 (beta) adds native support for 64-bit operating systems and 64-bit web browsers on Linux, Mac OS, and Windows. So, if you are using 64 bit Windows 7 operating system and 64 bit web browser (preferably Internet Explorer) – grab the 64 bit Adobe Flash Player download for adding Flash support. While this is a leap forward for 64 bit operating system users, 32 bit OS users can wait till stable release of Adobe Flash Player 11 is available for download. Check download links for installers and uninstaller for Adobe Flash Player 11 (beta) 32bit and 64 bit version for MAC, Windows and Linux. 1. Stage3D APIs for creating highly interactive visuals to improve collaboration on 3-dimensional models. 2. G.711 audio compression for telephony for integration of voice/telephony into business apps using G.711 codec. 3. H.264/AVC SW Encoding to encode higher quality video locally using H.264 video. 4. Socket Progress Events to build advanced file sharing apps like FTP clients that send large amounts of data. 5. HD surround sound to deliver full HD videos with 7.1 channel surround sound directly to AIR powered TVs.